Your home is likely to be the biggest purchase you have ever made. Therefore, you want to make sure you are investing your money into the right property for your needs, and that you are doing so in such a way to get the most value. In this blog, we will go over some tips you should keep in mind to keep your expenses down while finding the home of your dreams. Many new homebuyers make the mistake of obsessively trying to time the market. However, trying to predict the housing market is a fruitless endeavor. The best time to buy is a house is according to when is best for you financially and personally. When you find the perfect house for you and you can afford it, it’s time to buy. The housing market is cyclical; it goes up, then down, and back again. If you try to wait for the right moment to buy according to what’s going on in the market, you are going to end up missing out. Before you buy, it’s important to have a survey done on the property so you understand exactly what you’re getting. You want to know exactly where the property line is so you don’t end up in a dispute with your neighbors. In addition, you need to know this information for your property taxes, so having an accurate map of your property will be necessary. You might find yourself naturally drawn to the biggest house on the block, but that doesn’t mean that it is better. In reality, buying the biggest house can actually sabotage you. This is because if you decide to resell the house, it is only going to appeal to a limited audience. Your home is only going to go up as much as the others in the neighborhood, so you are only going to appreciate so much value. If your home cost you $450,000 and your neighbors bought theirs for $250,000, they are making a much larger return on their investment. It’s better to buy a smaller, more modest home and add value over time. Many people who previously rented are a bit shocked the first time they buy a house. They may have budgeted for their mortgage payment, but there are other costs to consider. Expenses such as homeowners association dues, property taxes, and utilities often take people by surprise. When you are budgeting for your new home, keep these sleeper costs in mind so you know that you can truly afford to buy. Many people make the mistake of listening to their heart over their head when it comes to home buying. This is unfortunate because, as much as you love a home, it can cause you to make some unwise financial decisions. Listen to your instincts, not your emotions. This means listening to your intuition about the high value of the home, not obsessing over how perfect the backyard is. This is a major financial decision, so worry less about the details and more about what you are getting for your investment. You cannot get a full picture of a home simply by walking through it yourself. One of the most important things you can do before you buy a home is to hire a home inspector. It will cost you a couple of hundred dollars, but it could save you thousands in the long run. A home inspector will help compile all of the information you need to make the right decision. If any problems with the home come up in the inspection, you may be able to negotiate to lower the price. Regardless, it’s better to know what you are getting into rather than spend a fortune later fixing problems you could have seen coming. 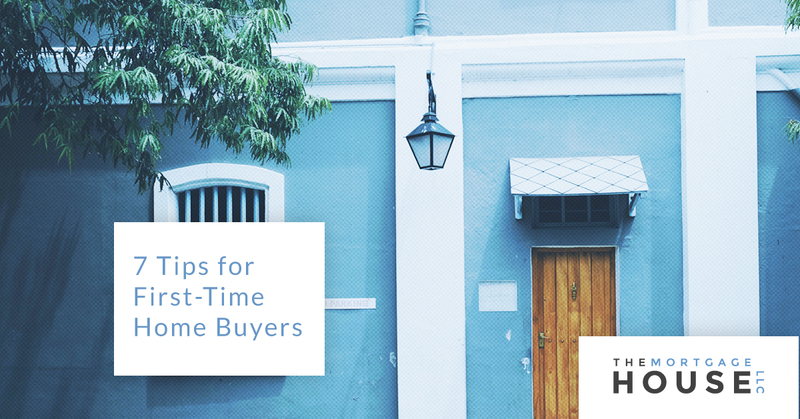 When submitting your opening bid, consider two factors: how much you can afford, and the value of the property. Your opening bid should be reasonable and fair; don’t low-ball them, or you will insult them. Many people are under the impression that they should make a low bid initially, but you want to factor in the current housing market. Look at the selling prices for other homes in the neighborhood, and also factor in the price per square foot. You should also look into the neighbor’s future construction plans to anticipate changes in the property’s value in the future. You might also look into whether or not the seller is behind on their property taxes, as this may allow you to negotiate a better deal. Another tip: don’t make your bid an even number. An odd number will stand out in their mind and make them think you put more thought into the exact value of the property. At The Mortgage House, we would love to help you make your dream home a reality. Contact us today to learn more about our home loan services!